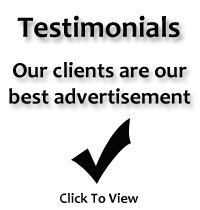 Guarantee System & Performance Results. 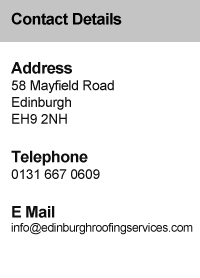 Finding a safe, reliable contractor to carry out home improvements on your properties has never been easier. 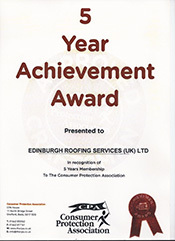 The Consumer Protection Association delivers peace of mind. This is the best form of protection. However, there are many companies that only 'offer' this service and do not give it, leaving many homeowners believing they are covered when they are not. An Insurance Backed Guarantee (IBG) is valuable protection in the unlikely event of the Consumer Protection Association member ceasing to trade due to liquidation or bankruptcy. The guarantee given by the CPA installing company is valid the whole time they are trading and so any defects should be corrected by them. * A scheme operator has checked the firm's technical skills, trading record and financial position. 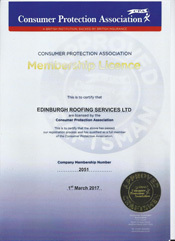 * The firm has signed up to a code of practice that includes insurance, good health and safety practices and customers care. * The scheme operator has checked and will continue to monitor the firm's quality of work, trading practices and customer satisfaction. * The firm will tell customers about any building regulations they must meet, and may also be able to give certificates they need. * If a customer has a problem or disagreement with the firm, there must bee a clear and user friendly complaints procedure to help sort out the problem. * If the firm doesn't automatically provide insurance cover, the customer has the option to buy a warranty in case it goes out of business. 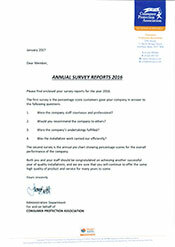 The CPA believe it is vital to evaluate both the professionalism and quality of a member company's work and an effective means of establishing this is to ask past customers what they thought of the company. 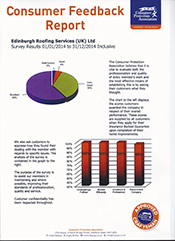 The above charts are made up from the scores each customer awarded Edinburgh Roofing Services in respect of their overall performance. 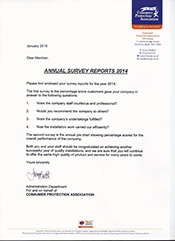 This scoring is supplied by the customer when they apply for their Insurance Backed Guarantee once their home improvement contract has been completed. 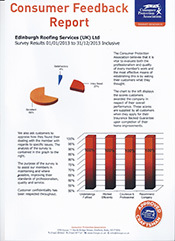 Edinburgh Roofing Service's Annual Survey Reports are carried out by the Consumer Protection Association. 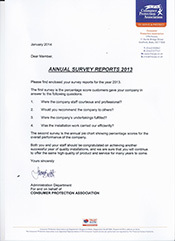 This report was produced by the CPA in order to assist the company in maintaining, and where possible improving, standards of quality and service.